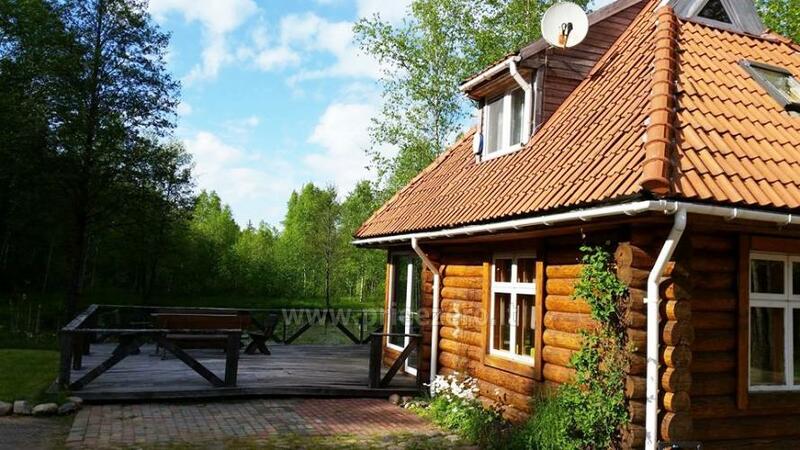 Holiday home at the lake Plateliai "Sienainis"
Holiday home "Šienainis" in Žemaitija National park next to the wonderful, one of the cleanest Lithuanian lakes Plateliiai. 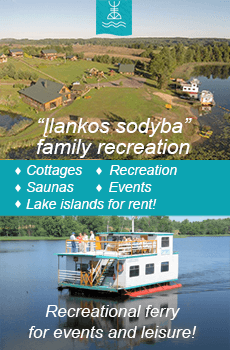 It is the largest and deepest lake in the area of Samogitia (Žemaitija). 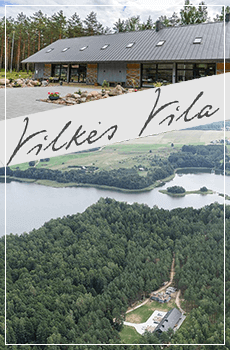 Holiday home "Šienainis" gives you an opportunity to admire the hilly landscape, breathtaking lake, 7 islands of the lake, peninsulas and forest panoramas. 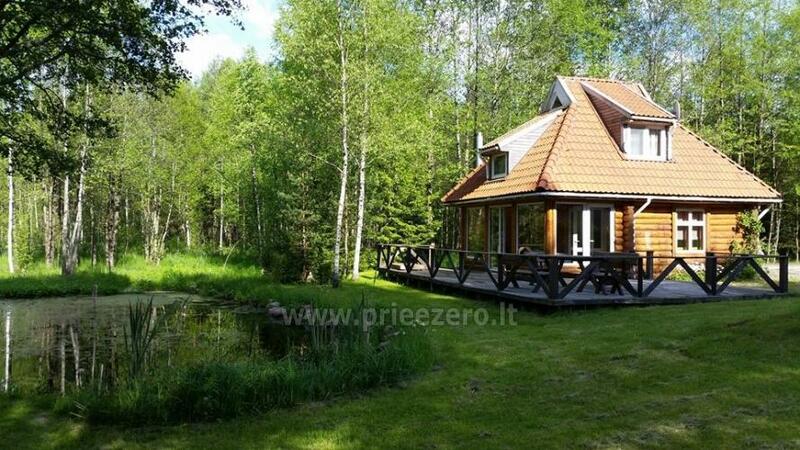 The fresh air, the lake and the forest will help you to regain harmony, strength and good mood for successful work. This is a great alternative to the bustling city streets. We offer a quiet recreation in the three-storey building with comfortable rooms and apartments with balconies and outdoor terraces. 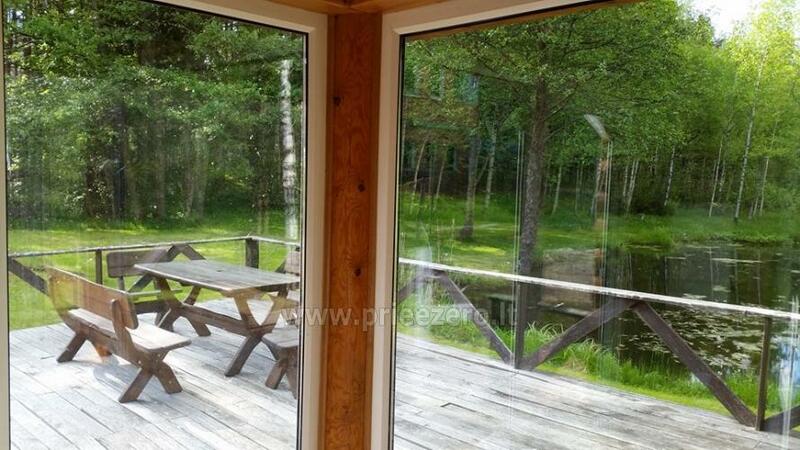 Wooden holiday cottage with kitchen, bathroom and terrace for up to 7 persons. Modern apartment with separate kitchen, bathroom, lounge and bedroom. 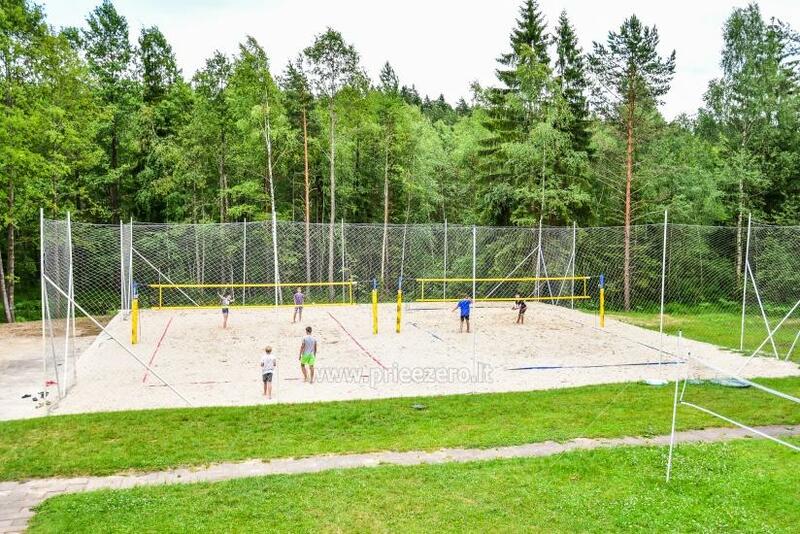 New in 2015 - beach volleyball court! 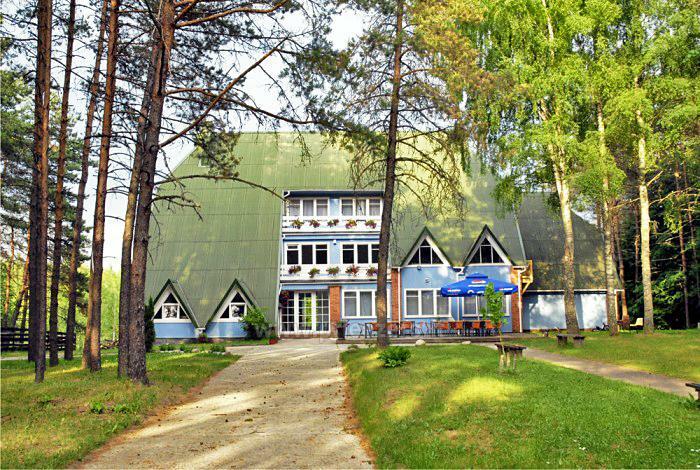 The house has a large banquet hall, a cozy little room for conferences or meetings, 2 kitchens with all the necessary equipment and utensils. 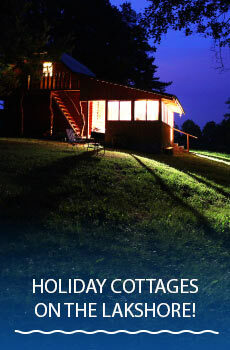 Up to 50 persons can stay for vacation, conference, seminar or other event in the holiday home. 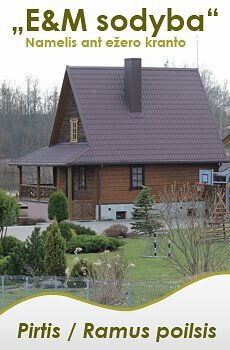 There is a car parking lot near the holiday home. 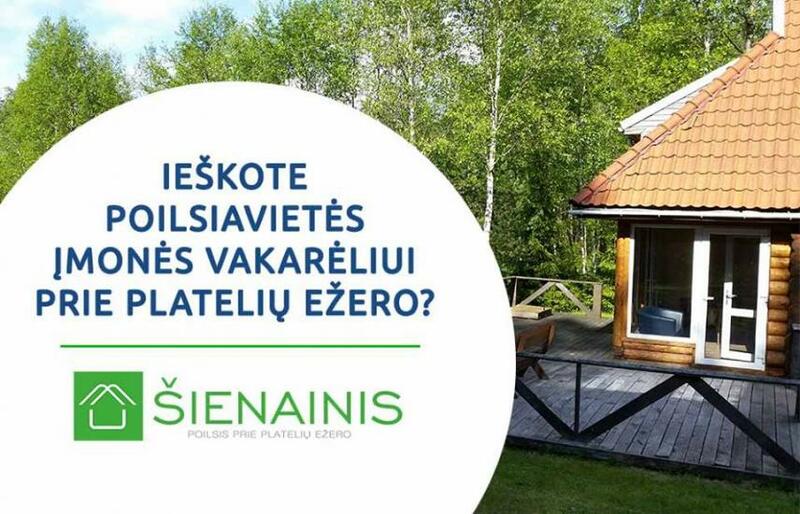 Holiday home "Šienainis" - a great place for a vacation for families with children. 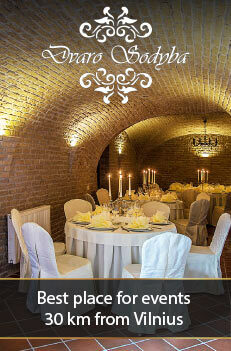 You are welcome to arrange meetings, corporate birthday parties, friend gatherings, camps and seminars. We will be hapy to help you organize any kind of event. 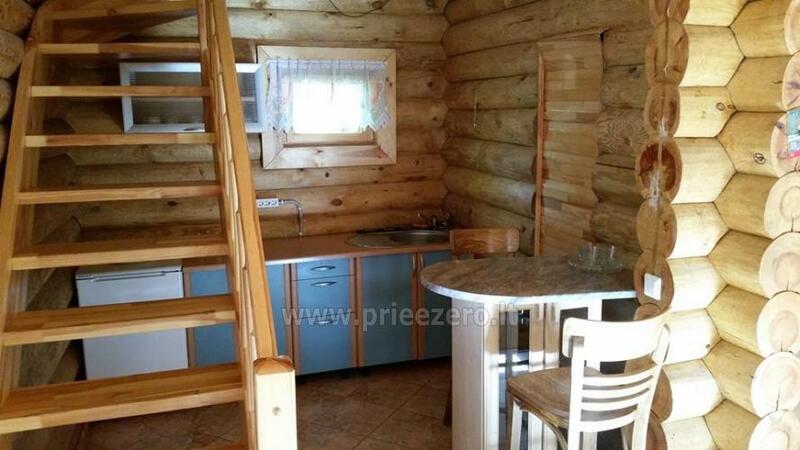 Wooden holiday cottage for up to 8 persons - 100 EUR/ night. 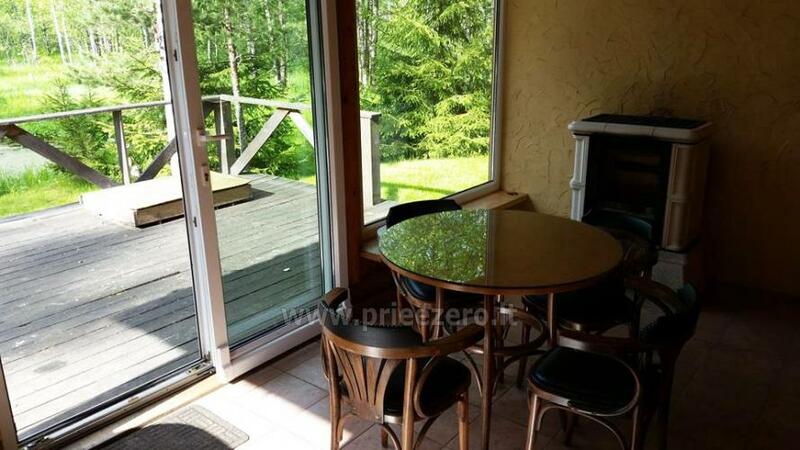 Room rental price - 11-14 EUR per person per night! 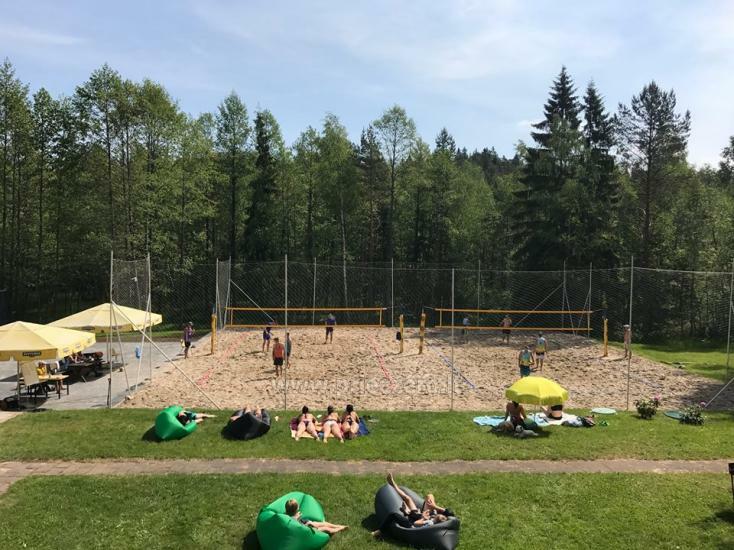 Volleyball court - 6 EUR per hour.